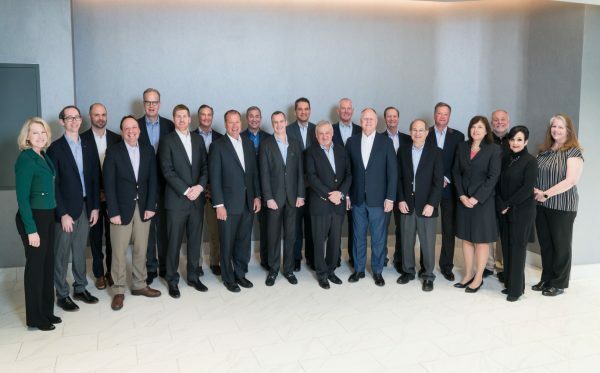 The Board of Directors of the Outdoor Power Equipment Institute (OPEI) met with staff recently at the association’s headquarters building to discuss the challenges and opportunities ahead for the power equipment industry. During the meeting, the Board appointed Rob Moll, CEO of MTD, as a director, and named Tom Duncan, President and CEO of Positec, to the executive committee as secretary/treasurer. OPEI’s 2019-2020 officers and members of its Board of Directors are Chair Bjoern Fischer, President, Stihl, Inc.; Vice Chair Rick Olson, Chairman, President and CEO, The Toro Co.; Secretary/Treasurer Tom Duncan, President and CEO, Positec; Immediate Past Chair Dan Ariens, Chairman and CEO, Ariens Co. The other members of the OPEI Board of Directors are: Earl Bennett, President, Husqvarna North America, Husqvarna Professional Products; Edward B. Cohen, Vice President, Government & Industry Relations, American Honda Motor Co., Inc.; Tim Dorsey, President, Echo Inc.; Peter Hampton, President and CEO, Active Exhaust Corp.; Tim Merrett, Vice President, Global Platform Turf & Utility, Deere and Co.; Lee Sowell, President, Outdoor Products, Techtronic Industries Power Equipment; Todd Teske, Chairman, President and CEO, Briggs and Stratton Corp.; Mark Wagner, President and CEO, Club Car, LLC; Joe Wright, President and CEO, Excel Industries, Inc.
Power Equipment Trade offers six dynamic issues per year with industry news, new products, dealer focused selling strategies and more. When you combine the hard copy with our PETnet enewsletter, we’ve got the industry covered from top to bottom. The best part? Subscriptions are free to those who qualify!